Does Cloyes 9-1108 fit your vehicle? 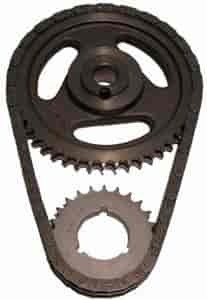 9-1108 - Cloyes Street True Roller Timing Chain Sets is rated 5.0 out of 5 by 1. Rated 5 out of 5 by MikeCz from Always fits tight. I've purchased some value overseas made timing chains that are just as loose as the chain its replacing. Cloyes True Roller kits always fit perfectly as you would expect. This one came in a plain brown package which I didn't expect. May be a new thing.